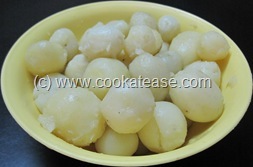 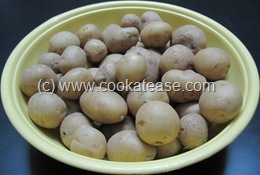 Everyone likes baby potatoes as they look very attractive. Baby potatoes are harvested for their buttery flavor before their full growth. 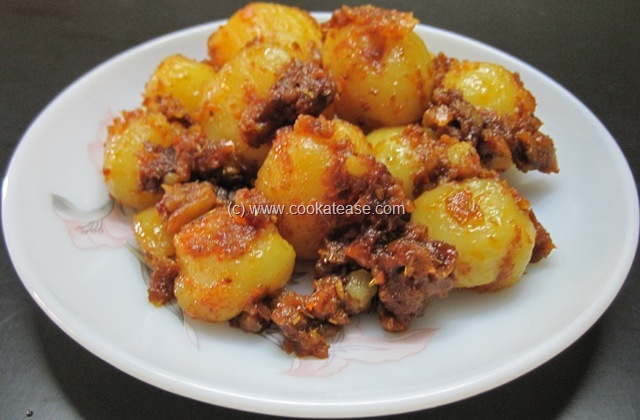 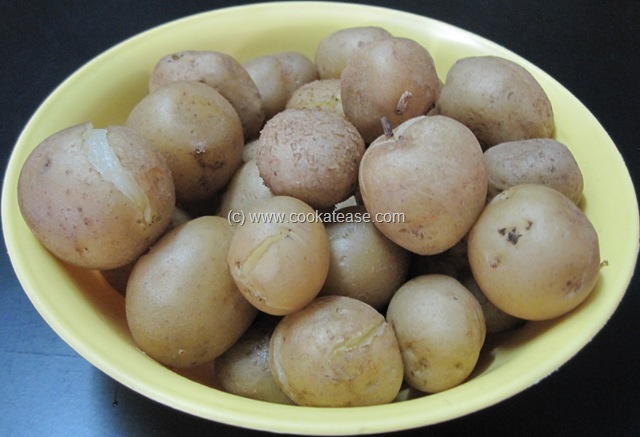 I buy this baby potatoes whenever I see it in market and my family likes it with spices. 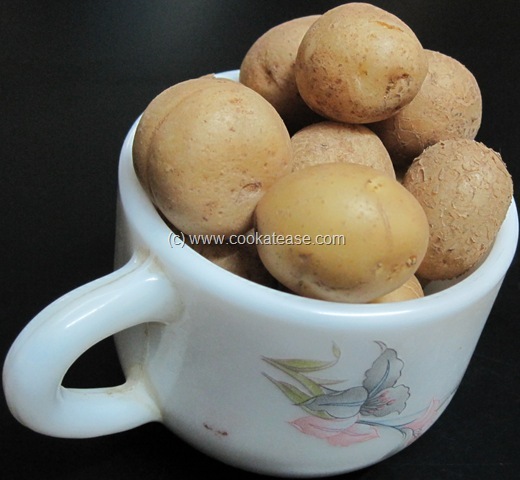 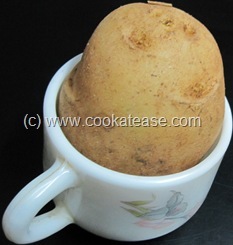 Before proceeding, view the baby potatoes and a normal potato in a tea cup. Boil baby potatoes, peel and keep aside. 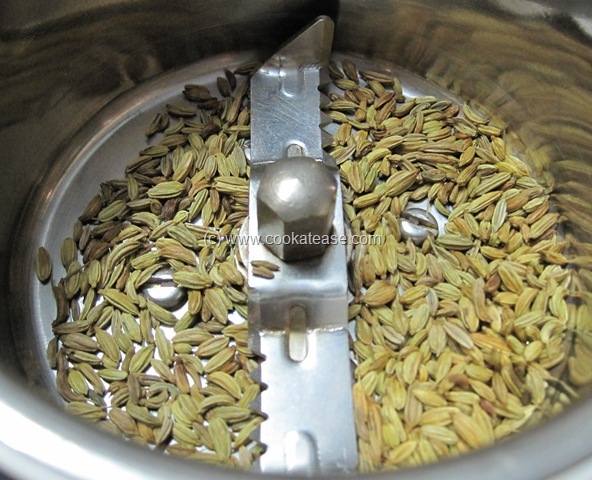 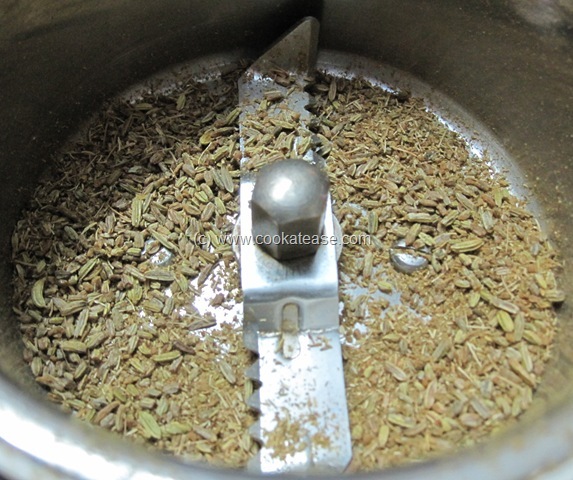 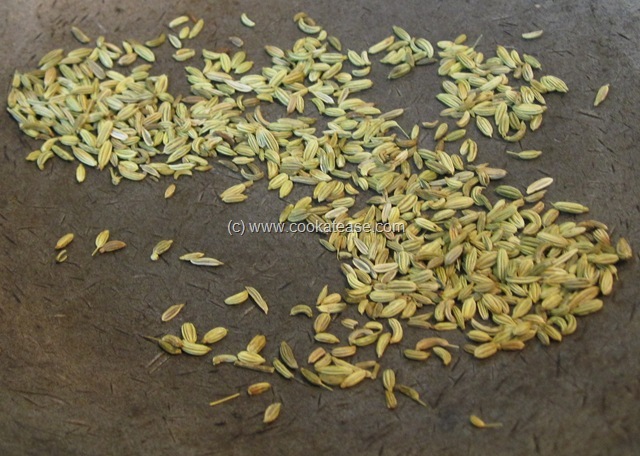 Dry roast fennel seeds, put them in mixer and powder it. 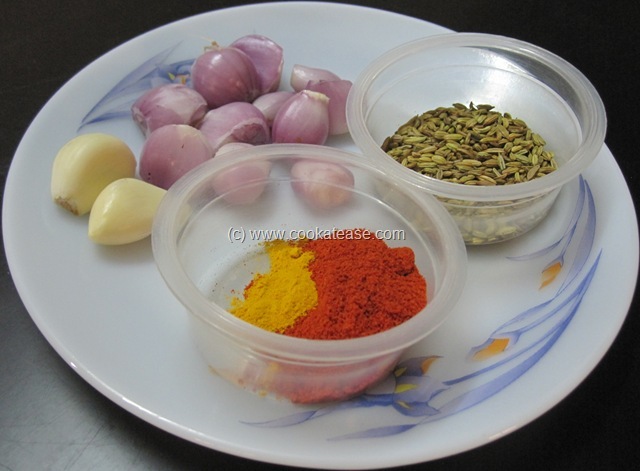 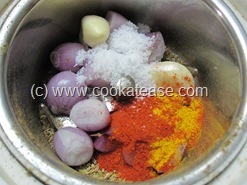 Now add onion, garlic, red chilli powder, turmeric powder, salt and grind to a coarse paste. Now mix this with potatoes and keep for 5 minutes. 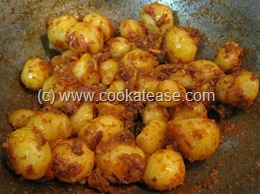 Heat a pan with oil and fry potatoes till the spices are roasted and cooked. That looks very delicious,love the spices used, very nice recipe to try..
Love it….. Looks Awesome… I am gonna try to cook it as I get in Home…….. 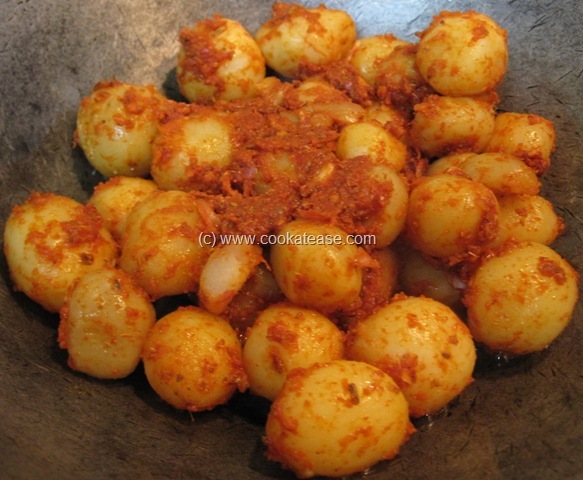 Awesome recipe.. Simple 2 cook & tastes delicious.. 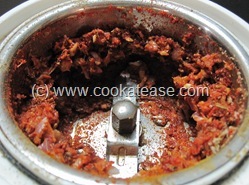 Along with the onion paste given above i have also added a tsp of garam masala & a tsp of cumin powder & followed the rest of the procedure.. 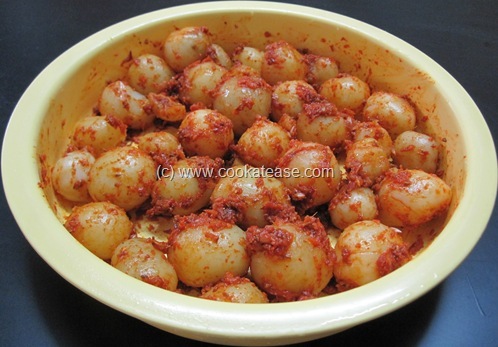 This version is also interesting.. 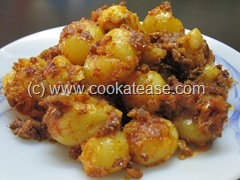 Thanks 4 the recipe..